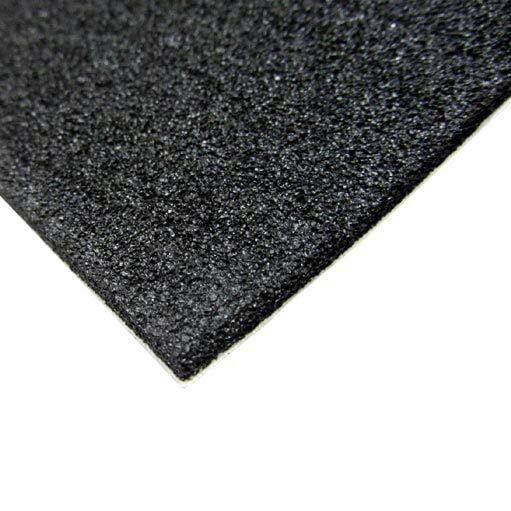 The Acoustical Soundproofing Insulation (ASpI™) material is an advanced design sound product made in a sheet form, with a combination of sound absorbing and sound deadening characteristics for improved STC ratings. The natural fiber used is known as a “21st-century nonpolluting green material” and is a natural material found in volcanic rocks. It is 100% natural and inert with no toxic reactions to air or water. ASpI is non-combustible, explosion proof, non-carcinogenic and non-toxic.The additional chemistry of this product is biodegradable with a low carbon footprint. A high melting point and low smoke index make this product safe to use in almost any location where fire codes are a concern. It is commonly used in CLMD applications (constrained layer mass damping). This material is washable when used in exposed areas such as restaurants, public space, temporary applications, hanging baffles, etc. It is mold, mildew and flame resistant.